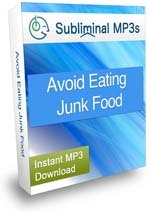 You may wonder what subliminal messages have to do with avoiding eating fast food aka junk food. But there really lies an association between the two. Let me tell you how. You are certainly reading these lines since you too have a love-hate relationship with such trash foods. Don’t you? This is what everyone’s predicament is! They find such foods very easy to grab as well as very tasty to the palate. But then, when it starts affecting their body, both anatomically as well as physiologically; they start hating what they loved so much before, but by now it might have become too late to say no to your addiction to the same. You find it difficult to resist the temptation. It’s here that subliminal messages come to our rescue. In fact they work at two levels. First, they embed a message in the depth of your subconscious mind that makes you stay away from getting tempted by any of such foods as and when it comes in front of you. Secondly, they subliminally develop your will power that enables you to stay away from them even if the temptation engulfs you somehow. This double line of defense against the onslaught of that mighty culinary cultural dragon makes your position an invincible one in the face of it. Saying no to the fast food temptation or habit does come with its own rewards in the form of a healthy, slim figure along with a real romantic love life! Start today with ‘Avoid Eating Junk Food Subliminal’, if you are really serious about your body and the way you carry it along in the pursuits of your life. 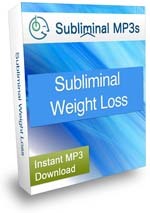 You can also try ‘Weight Loss Subliminal’, if you want to cover all the aspects of losing weight rather than avoiding eating trash alone.